Chaga Inonotus obliquus, commonly known as Chaga mushroom (a Latinisation of the Russian term чага), is a fungus in Hymenochaetaceae family. It is parasitic on Birch and other trees. The sterile conk is irregularly formed and has the appearance of burnt charcoal. It is not the fruiting body of the fungus, but a mass of mycelium, mostly black due to the presence of massive amounts of melanin. 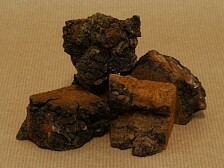 High quality wildharvested dried Chaga, in rough chunks of 30 to 50 mm. 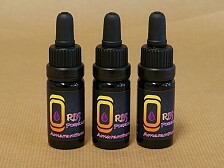 The 60 ml pots are on special offer at HALF PRICE for a limited time! 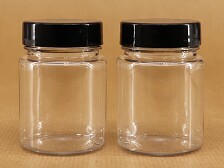 Small clear PET pot with black screwtop, maximum capacity 60 ml. Diameter 45 mm, height 60 mm. 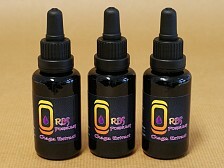 Suitable for powders, resins, oils and liquids. 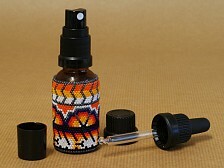 Amber glass bottles, decorated with tiny beads in intricate classic Huichol patterns. 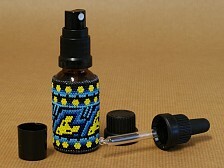 The bottles were made by hand in Mexico by Huichol indians. Every bead is glued on the bottle, one by one, in a patient and ellaborate process. Of each of the bottles there is only one available, and no bottle or design is the same. These are true and unique works of art. 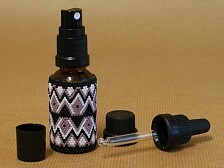 Each bottle comes with a variety of lids and tops: One normal cap, one pipette, and one sprayer. Suitable to store powdered or liquid substances, and the dropper or sprayers allows to dose in drops, or spray the liquid in a fine mist. The volume is 50 ml. (Batch #1809) A new Rapé made with a very special medicine from the Kuntanawa. It's a thin vine called “Veia de Pajé”, Shaman´s Vein. It is a herb used by the tribe for different types of magic in the forest. It keeps negative energies at bay and attracts positive ones, like an energetic attractor. It attracts good things, but it is good to keep our mind firm and focused on what we want to call in and not to attract the wrong things. 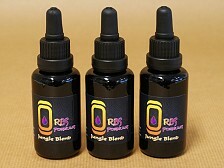 It aids in protecting against jealousy and spiritual persecution, always giving us a good direction of proper conduct and thoughts of spiritual alchemy. More information below. 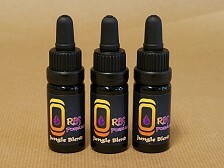 Packed in 25 ml clear plastic bottles containing 15 grams. Special offer! (best before May 2019). 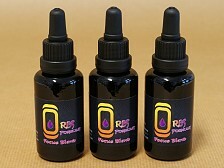 A highly purified TPA liquid extract, 13:1 ratio. 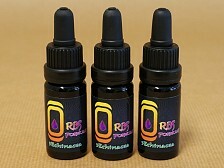 This means that 1 ml contains the extract of 13 gram Mulungu. Erythrina Mulunngu has long been used by the indigenous peoples in the Amazon. 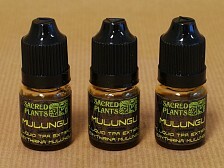 Tinctures and decoctions made from the leaves or barks of Mulungu were used in Brazilian traditional medicine as a sedative, to calm an overexcited nervous system, to lower blood pressure and for insomnia and depression. More information can be found below. 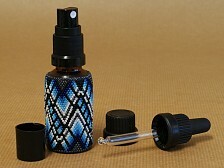 Packed in 5 ml clear plastic bottles with dropper. 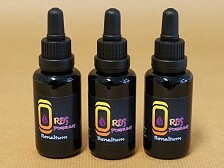 Amarantium works well before meals to help wake up the system as a bitter tonic formula. 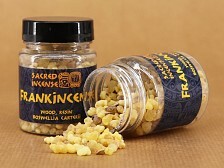 Bitters are still used extensively in many cultures to strengthen digestion. Most ancient cultures have some sort of bitters in their diet, such as the Greeks and their unripe, sour bitter plums that are eaten before meals. Stimulation of bitter taste receptors results in the secretion of digestive juices, including stomach acid, bile and pancreatic enzymes. 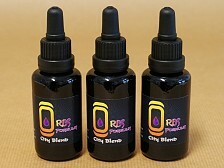 City Blend is to benifit those of us that are living in or visiting the large urban areas of our planet. Air pollution and toxins in the enviroment play a large factor in our everyday health. 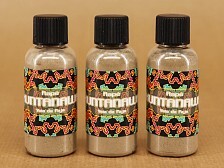 This blend of herb extractions can aid in the detoxification of those pollutants. More information below. A selection of jungle herbs to aid in the removal of Candida and bacterial infection. More information can be read below. 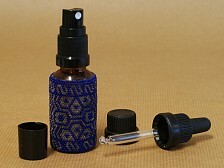 Packed in Miron Glass bottles with pipette dropper, containing 5 ml. 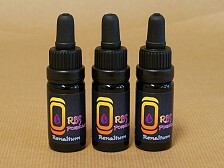 Orbs Renalium was created to aid the Renal System to function properly and help with detoxification of the urinary system, consisting of the kidneys, ureters, bladder, and the urethra. More information below. 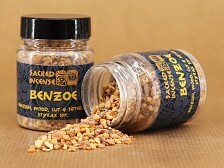 Highly aromatic, finely cut and sifted grains of Sumatra Benzoin resin. Wild-harvested in Sumatra, Indonesia. Excellent fine-grained texture and quality. Sahumerios is the name given to a mixture of fragrant woods, flowers and herbs, to be used as a ceremonial incense or herbal bath. It consists of mainly Palo Santo (Bursera graveolens), with addition of a multitude of other aromatic and healing ingredients. 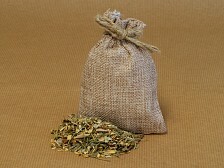 It comes with a small burlap pouch to make a herbal bath. Fill the bag with 5 to 10 grams of the mixture and place it in your bath for a cleansing bathing experience. (Batch #9180). Tabaco de Moy is one of the most beautiful of all Rustica types. The scent is just divine. Used alone or mixed into ashes this wonderful Moy powder heightens the senses and puts the user into a relaxed state of being. 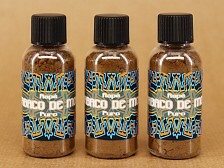 The powder is made from juicy fermented Tabaco de Moi masos from Brazil. First sun dried, deveined and finely ground, and then sieved multiple times to attain the finest dust of a dry and smooth powder. Perfect for using in personal preparations. More information can be found below. 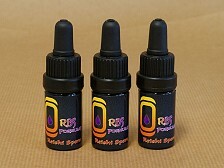 Packed in 25 ml clear plastic bottles containing 10 gr.